– a safe, comfortable and effective way to remove unwanted body or facial hair. Portrait Plasma™ – an advanced procedure for reducing the look of fine lines and deep wrinkles, treating sun-damaged skin, improving skin tone and texture, improving acne scars, and tightening skin. Kybella® — a molecule that kills fat cells under the chin, keeping them from storing more fat, and permanently eliminating submental fullness, or the double chin. Botox® — a chemical injected into muscles to reduce movement, thereby eliminating wrinkles. Botox® for excessive sweating — a means to control the symptoms of severe underarm sweating. Chemical peels — a common method to smooth fine lines and wrinkles, and to even out pigment variations. Lip augmentation — for enhanced lip fullness, or to raise or define a cupid’s bow or vermillion border. Latisse®— a prescription topical treatment used to grow longer and thicker eyelashes. ALMI — a unique regenerative technique for rejuvenating skin and reversing hair loss. Intense Pulsed Light therapy – a technology used to perform different skin treatments like hair removal, photorejuvenation (for the treatment of skin pigmentation and sun damage) and to alleviate dermatologic diseases. 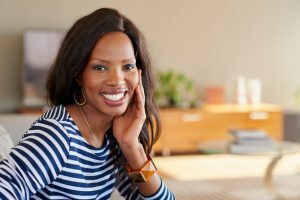 The Viveve® System— targets underlying vaginal tissue and muscle weakness, this non-surgical, minimally-invasive procedure provides patients with total feminine rejuvenation without the pain or downtime. Juvéderm® Voluma Cheek Augmentation – this facial filler turns back the hands of time by restoring fullness to sagging, deflated and time-worn cheek skin. Although some of these procedures are offered by general physicians, and even aestheticians at salons and spas, they are still medical procedures and carry certain risks. That’s why it’s essential to use a board certified plastic surgeon in an AAAASF accredited facility. If you feel you’d benefit from any of these non-surgical procedures, call Cosmetic & Plastic Surgery of Columbus for a consultation, and our staff will discuss your needs and recommend the best treatment option.